Each piece of this set is fully able to handle anything you throw at it with ease. 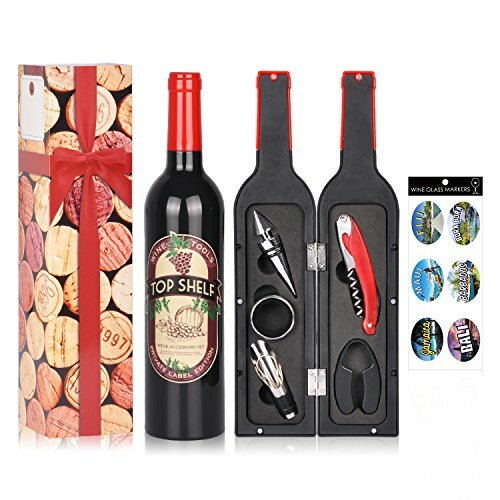 REUSABLE PERSONALIZED WINE GLASS MARKERS: Compare with other wine opener set, this wine set come with 36 pcs of static cling reusable drink markers Stickers, these markers set are an ideal way to personalize your guests their wine glasses. Easy to use and don't worry to drink from the wrong wineglass again! If you have any questions about this product by Friend of Vines, contact us by completing and submitting the form below. If you are looking for a specif part number, please include it with your message.